I’ve been putting off trying Injinji socks for a couple of years mainly due to them being (there’s no other way to say it) weird. 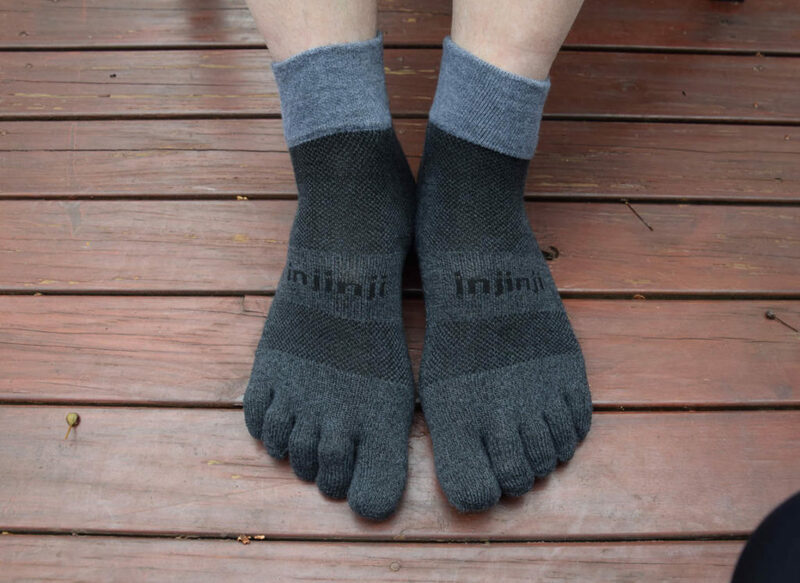 Essentially Injinji socks are gloves for your feet and each of your toes has its own individual covering. 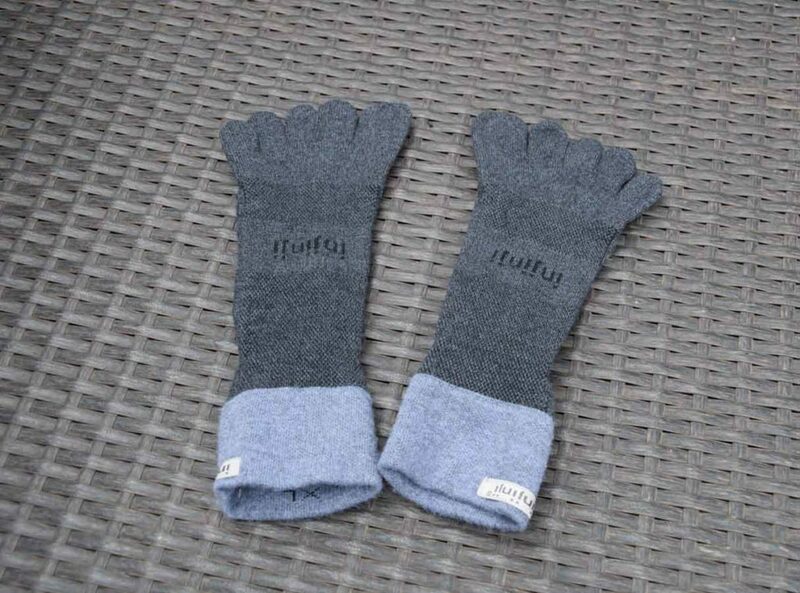 The advantage is that the toes are less likely to sweat when they rub against each other and if feet warmth is a concern for you, then these socks have that covered. Now my main reason for trying the Injinji Trail Midweight Mini Crew Sock was that I was testing out a pair of Vibram Five Fingers V-Trail shoes (toe shoes) and needed a pair of matching socks. After a bit of research these were the socks I opted for but wasn’t sure how they would go. 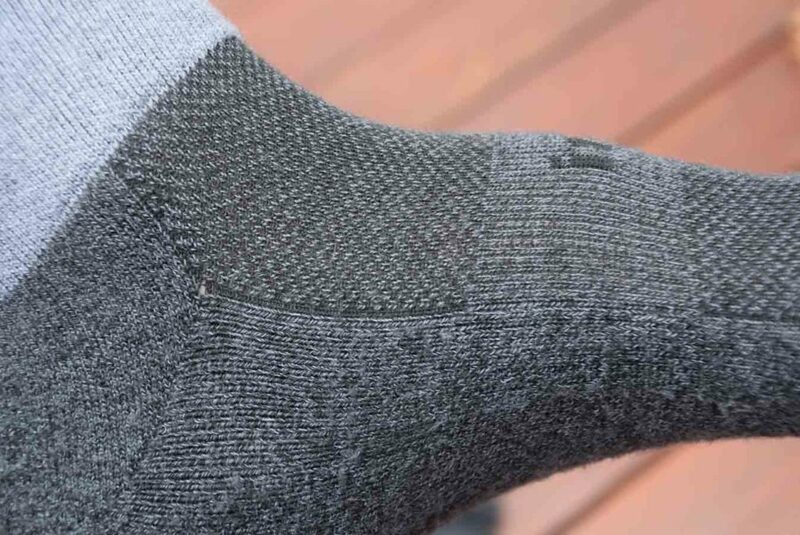 The biggest thing you notice with these socks is that the individual toe compartments seperate the toes and prevent them from rubbing against each other. In addition they provide a degree of cushioning which I found quite comfortable. The soles of these socks provide good padding and the tops have a breathable mesh which also has an elasticised band that makes these socks form fitting and provides them with the ability to stay in place when wet. The additional material between the toes takes a little bit of getting used to. The downside of these socks, at least for me was I found them to be on the warm side. Injinji does make both warmer and cooler versions but for me the ideal sock is one that has good cushioning and is also very lightweight and breathable on top. Apart from using these socks with my Five Finger shoes I also tried them with my Altra Lone Peak 4s which have a nice wide toe box and they worked really well. I must admit I did like these socks against my better judgement but would prefer a slightly cooler version. Having said that, most hikers I know prefer a warmer sock than me so they are likely to appreciate these ones.